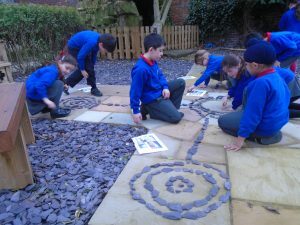 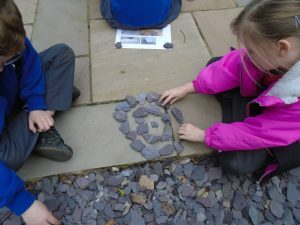 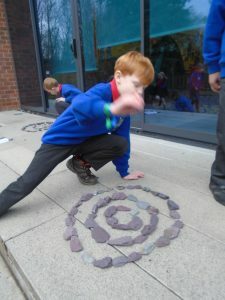 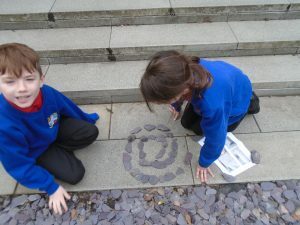 As part of their Tribal Tales topic, this week Class 3 investigated Pre-Historic symbols and rock carvings. 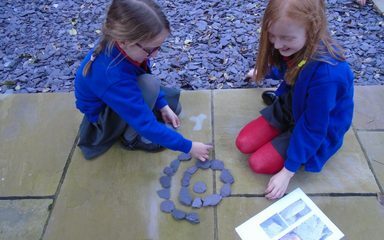 They examined and discussed images of cup marks and ring carvings on stones found in Northumberland and Scotland. 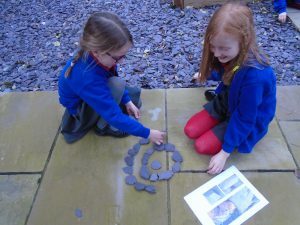 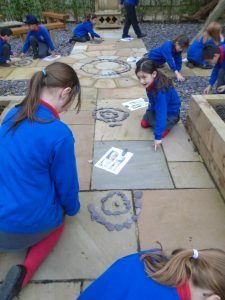 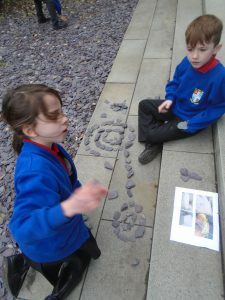 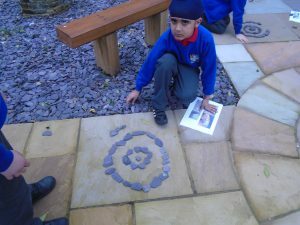 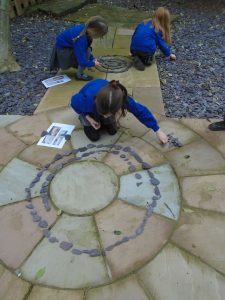 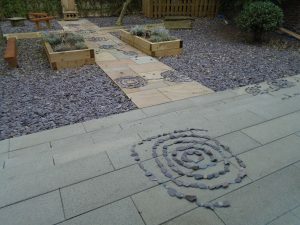 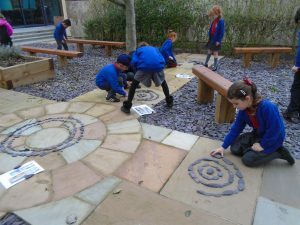 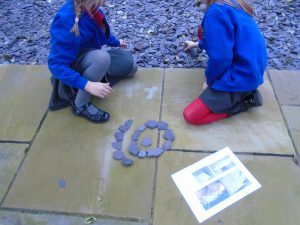 Then they considered the types of tools used and explored the meaning of these mysterious symbols.To help them formulate ideas as to why these carvings were made and which tribal members carved them, the children created their own rings and circles in our Peace Garden. 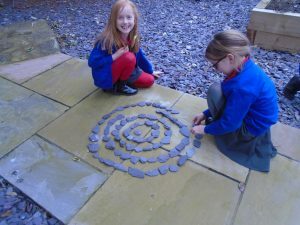 They created beautiful concentric circles and spiral ones too! 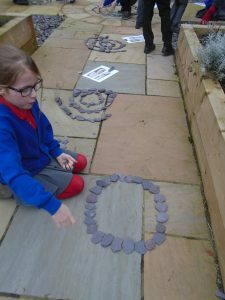 The children then began to link smaller circles with larger ones to form a network.